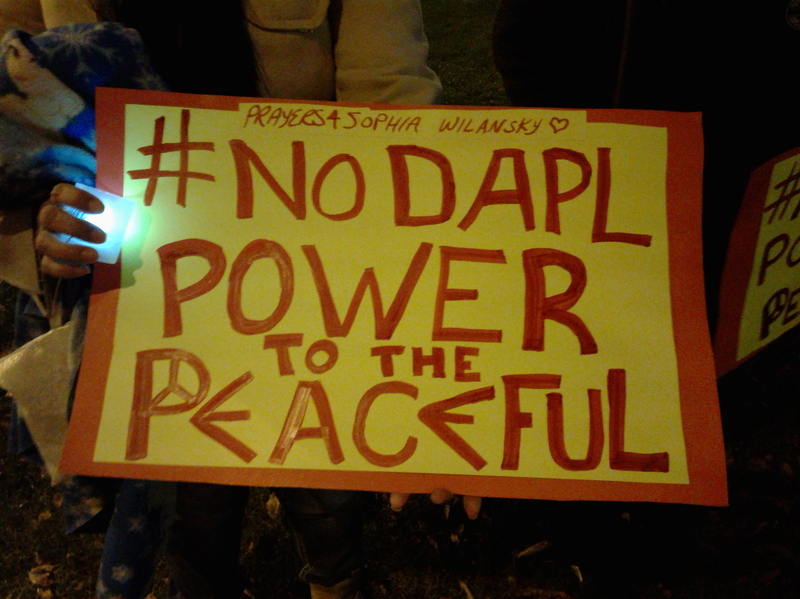 Below are links to some videos from and about Standing Rock. There are inspiring interviews with Water Protectors. There is a short interview with a 13-year-old youth leader from Standing Rock right after she learned the U.S. Army Corps of Engineers denied the Dakota Access Pipeline (DAPL) easement. And if you haven’t seen it, there is a link to the Daily Show’s biting take on DAPL. The post ends with an uplifting report from the Native American Rights Fund on the creation of the Northern Bering Sea Climate Resilience Area. There is a wonderful website called Where There Once Was Water: “an independent, feature length documentary film exploring California’s current water crisis and discussing solutions for a more sustainable future.” It is still in production but filmmaker Brittany Anzel App traveled to Standing Rock, spent time there, and did some filming about the water issues there. Her blog has posted several great videos, starting with this 13-minute segment listening to Donna and Curly from Rosebud telling their story about volunteering at the camp and why this is such a crucial issue. If you don’t have time for a 13-minute video, here’s a great one that just runs about 90 seconds. It is an interview with 13-year-old Tokata Iron Eyes at the Oceti Sakowin Camp, just after they got news that the U.S. Army Corps of Engineers had denied the Dakota Access Pipeline easement under the Missouri River. It will bring a smile to your face or a tear to your eye. On December 1, Trevor Noah of the Daily Show offered his sharp analysis of the situation at Standing Rock (4 minutes 28 seconds). Some good news from the Native American Rights Fund (NARF). At the request of more than three dozen tribes, President Barack Obama signed a historic Executive Order on Friday, Dec. 9, creating the Northern Bering Sea Climate Resilience Area. This is an incredible victory for our clients, the Bering Sea Elders Group (BSEG), and the 39 tribes in Western Alaska that BSEG represents. Yup’ik and Inupiaq tribal communities in the region have a deeply personal and cultural connection to the Northern Bering Sea and its rich marine resources. Their lives have been linked with the Northern Bering Sea for thousands of years. It is their highway, their grocery store, their way of life, and their children’s inheritance.